Mrs. Kaplna Yadav, (name changed) world came to catastrophe, when after several tests, her Gynecologists declared that she is no more capable of giving birth to a child. At the age of 34, she came to the stage, which is otherwise expected at 40 or so, i.e. at the commencement of menopause. This condition is known as Premature Ovarian Failure (POF). POF is loss of normal function of ovaries before the age of 40. If ovaries fail, they don’t produce normal amounts of the hormone estrogen or release eggs regularly. Infertility and childlessness is a common result1. Premature ovarian failure is sometimes referred as premature menopause, but the two conditions are not exactly the same. Women with premature ovarian failure — also known as primary ovarian insufficiency — may have irregular or occasional periods for years and may even become pregnant. Women with premature menopause stop having periods and can’t become pregnant1. “Lately incidences of premature ovarian failure are becoming frequent. It is closely inherited but it is also affected by environmental factors such as smoking. 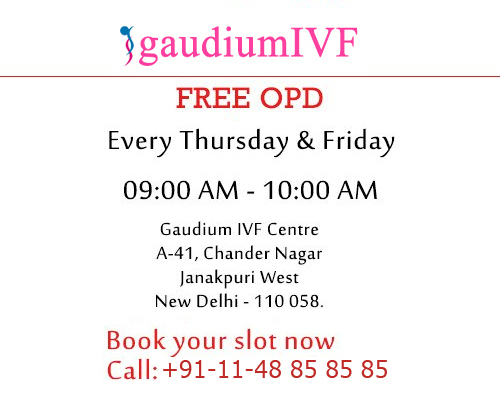 Changing lifestyle could be one of its reasons”, says Dr. Manika Khanna, IVF Expert, Gaudium IVF, Janak puri, New Delhi. “Apart from these reasons, certain diseases like Genital tuberculosis, could also lead to premature ovarian failure”, adds Dr. Khanna. The incidence of POF in India is 0.1% among the 30–40 years age group2. This may appear insignificant figure but this conditions account for approximately 25% of women presenting amenorrhea2. Although experts believe that being genetic in origin, POF can crop up at as young as 18, but there is also a strong opinion among them that career oriented urban couples, who have a propensity of pushing back pregnancy, are more liable for this problem. “Changing lifestyle and environment both are bringing serious alterations in body and its functioning. Pregnancy, being dependent on multiple aspects of it, getting affected most. Increasing incidences of issues like Premature Ovarian Failure, is one of the outcome of this”, says Dr Khanna. “Therefore it is important that couples should not only plan family well in time but also seek medical advice right away in case they face any problem in doing so”, adds Dr. Khanna. Fortunately, advancement in medical technology has provided some excellent solutions for such problems. Like Human oocyte cryopreservation (egg freezing) technology, in which a woman’s eggs (oocyte) are extracted, frozen and stored. Later, when she is ready to become pregnant, the eggs can be thawed, fertilized, and transferred to the uterus as embryos. This technique offers great way out for couples who either want to postpone pregnancies due to career obligations or want to overrule other future hurdles, like premature ovarian failure. “Although, as an IVF expert I understand the significance of age in pregnancy, but for couples who do have any alternative but to delay it, Oocyte Cryopreservation could be a good solution,” says Dr. Manika Khanna. Although, advancements in life are bringing many complications along with it, but luckily they also offer solutions to ease them. Problems like Premature Ovarian Failure, being genetic as well as environmental in nature needs not only to be handled medically but also seeks attention of all women who delay pregnancy due to some reason or the other. 2. Premature Ovarian Failure. A brief background to the causes of premature ovarian failure.